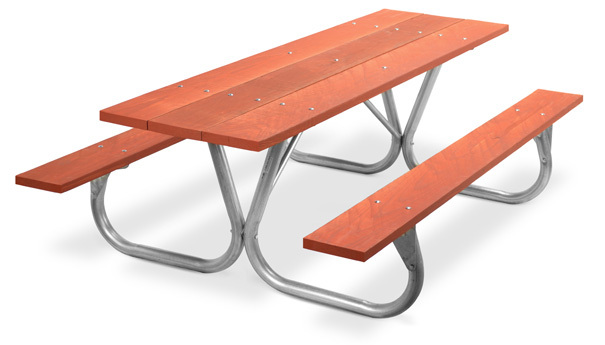 Wood planks are pre-drilled and have mitered corners for safety, and planks are available in Redwood Stained, MCA Treated and Untreated southern yellow pine. 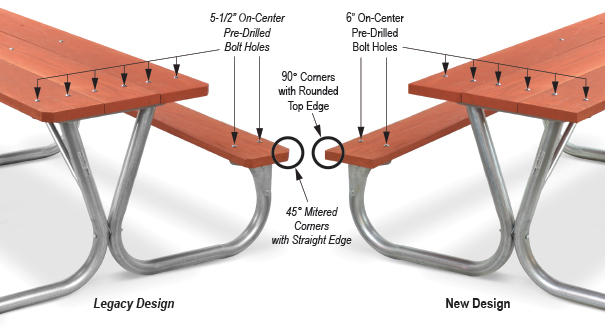 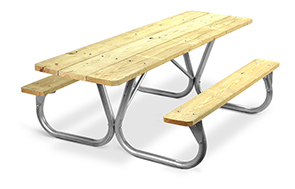 Select a complete picnic table or frame kit only. 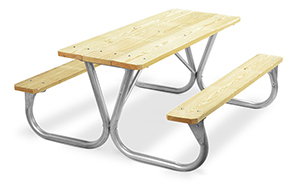 Tables are available in 6' or 8' lengths.